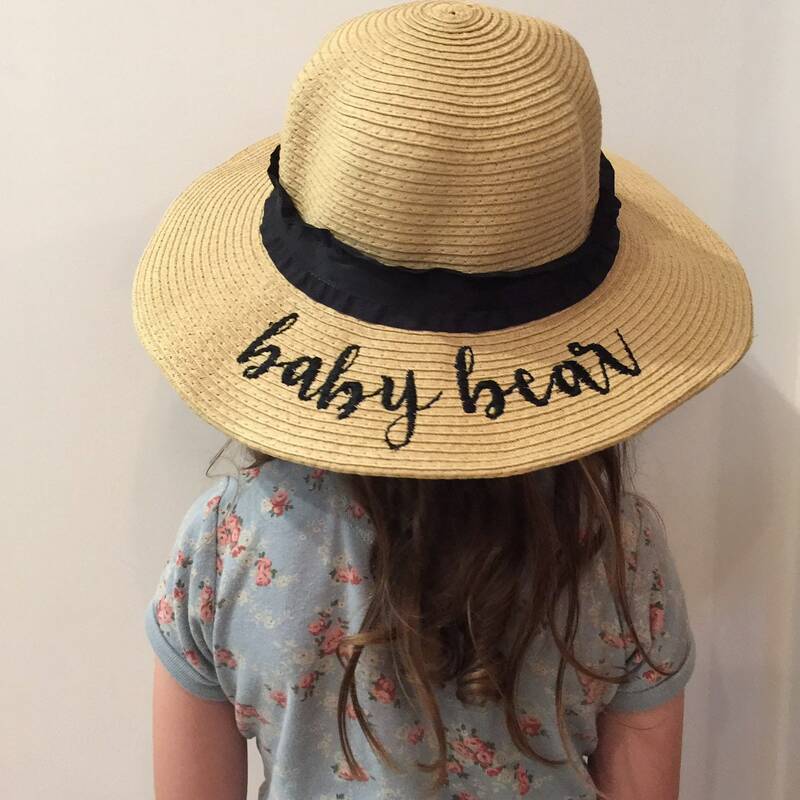 Set of two embroidered floppy straw sun hats. 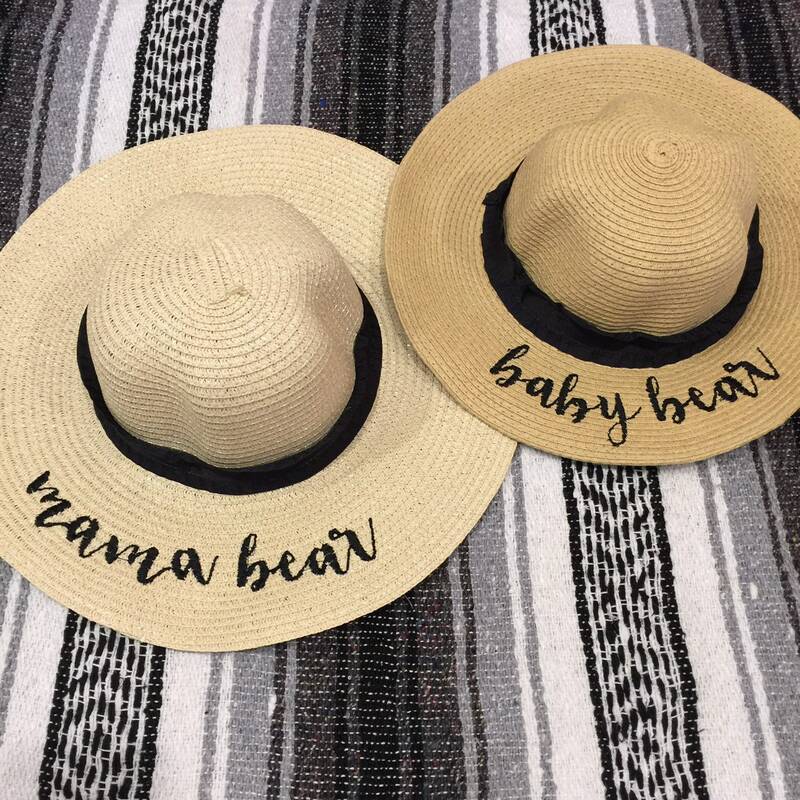 One "mama bear" hat and one kids "baby bear" hat. 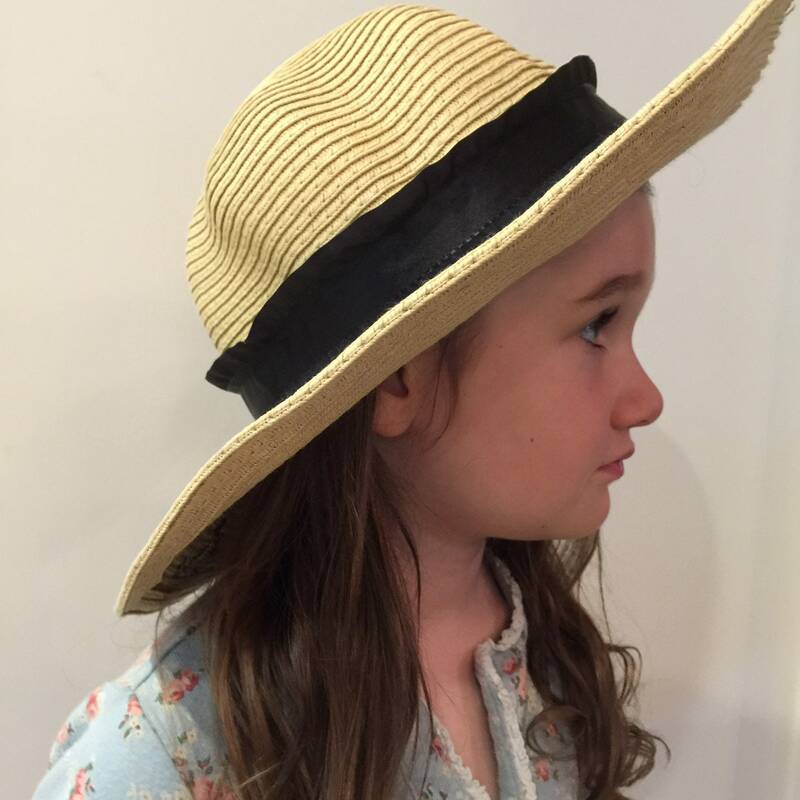 Kids hat fits size 3-7 best. This custom item is a final sale.